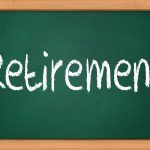 When it comes to saving for retirement, how much is enough? With that depends on your lifestyle, finances, debt, and what you need to live off of during your golden years. 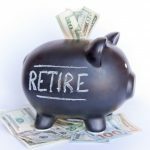 Depending how far along you are in your career, we have long heard about the availability of social security being an income source when we are ready to draw, and given the number of employers that do not offer pensions these days, you need to establish your own retirement savings. 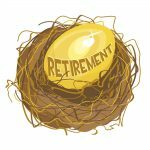 There are a few ways that you can ensure that you are in the right direction of setting up a comfortable nest egg. 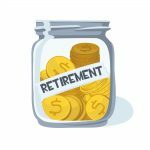 Based upon what you have saved so far, or plan on saving, given an average rate of return, you can see an estimate of what you could have available when you are ready to retire. 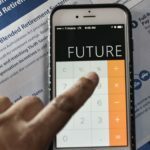 It probably is shocking how little it will be, given the age of retirement and with extended lifespan, could be decades that you can draw on the money, making it all the more reason to keep a hefty balance in your account, especially if you do not have an extra income source like a pension or social security. 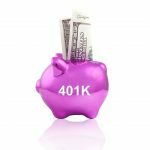 One great way that gives extra incentive to contribute to a 401(k) plan in addition to the tax benefit, is that there can be employer contributions available. Let’s say your employer matches contributions up to 6% of your income, you can contribute 6% while having 12% of your income added in there each year. 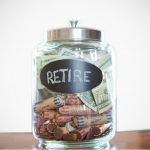 Any less than you contributing 6% would just be free money left on the table and not growing in your account, which can be tens to hundreds of thousands when it is all said and done by the time you are retirement age. As you continue to hopefully increase contributions each year, keep in mind the maximum contribution limits which are currently $18,000 per year. 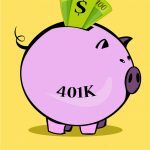 Beyond that, you can look to an IRA, whether it being a traditional or Roth, depending on your financial priorities, able to contribute another $5,500. 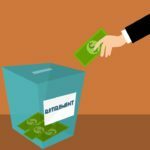 Traditional IRA’s are taxable upon drawing, where Roth IRA’s use after-tax income contributions that you can withdraw tax-free after the age of 59 ½. Either would depend on your income and financial situation, so it is always a good idea to review with a financial planner. 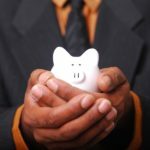 Now that you have a goal in mind, you can strive for that by increasing saving contributions and freeing up extra money by reducing unnecessary spending. 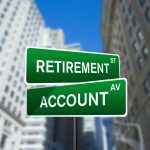 If you think about a shopping spree that you go on today, and you instead threw that couple hundred of dollars in a retirement account to grow over the next few decades, it might make you sick to your stomach know that some purchases are really not necessary. It is definitely a lifestyle change, to decide financial priorities, but a very important change at that, one that will make or break how you live when the workforce grind is over.